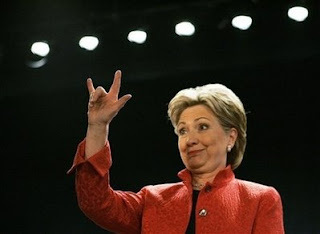 alt.music.dio -> THE DaMB -> CONFLUENCE -> Poll: John, Hillary or Barack??? TOPIC: Poll: John, Hillary or Barack??? RE: Poll: John, Hillary or Barack??? Why hasn't this inflamatory topic come up here? Who are you voting for? I vote for Bob Dole. Scott will be unhappy to see that Lorne Baxter was credited for inventing the internet and not the Wereo!! If that news report is correct, Obama would not be my choice for Pres. The unPatriotic movements and ideologies are troubling. She's trying to suppress a fart. Cheri Oteri who used to be in many comedy bits with Will Ferrel on Saturday Night Live always had that facial expression. Finally Hillary and Barack get to a real issue facing Americans here. So what do you Obama supporters think of Sylvia Browne's prediction that Obama will become Pres. and be assassinated? **Note: For those who don't know, Sylvia Browne is a popular psychic. Just an observation and kind words of advice...women over the age of 30 should NEVER hold there face like that because it shows off the dreaded double chin.